Should there be a compromise between playing by The Rules of Golf and having good sportsmanship? 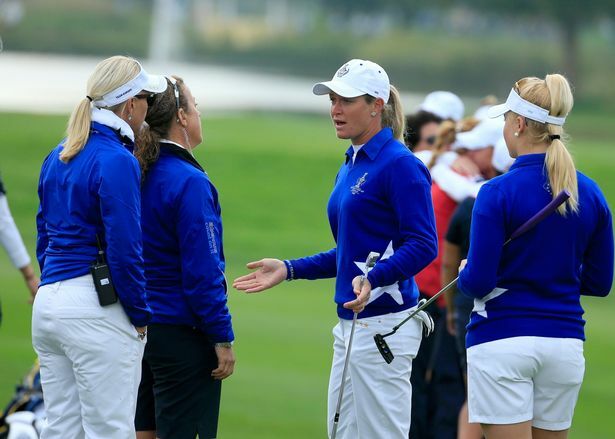 Controversy was recently stirred at The Solheim Cup by Team Europe's Suzann Pettersen after angrily demanding that Alison Lee be penalized after turning her back and not conceding a two to three-foot putt. Lee picked up the putt after assuming it had been given by Pettersen...but it had not and we all know never to assume. The Rules of Golf in match play (loosely) state that, unless the putt is conceded, the ball is in play. Team USA lost the match and there were bad feelings all around where there should have been cameraderie and pats on the back on both sides regardless of the Team. What was that valuable lesson? Pettersen said she was "trying my hardest for my team and put the single match and the point that could be earned ahead of sportsmanship and the game of golf itself!" Dust-ups like this have a familiar ring to them, for example, in Scotland at the 2000 Solheim Cup, Annika Sorenstam, "charged the Americans with bad sportsmanship in an 'ugly' incident" after being told to replay a shot which she chipped in because she played out-of-turn. USGA states, "While there is no penalty for playing out of turn in match play, the opponent can immediately recall any stroke which is played out of turn and require it to be played at the proper time." Ah, The Rules of Golf within competitive golf reared its ugly head...perhaps Golf is becoming an Impolite Game? When playing in your weekly foursome, it's usually polite (and good etiquette) to play "ready golf" and there are concessions made without the fanfare of a "you can take that" or a nod in order to keep the course moving along but what about when there are a trophy and/or a paycheck on the line - does courtesy and sportsmanship take a back seat? Should there be golf rules for "the rest of us?" The following video is a joking look from Tripp and Tyler at what would happen if the average golfer would concede to a different set of rules...ENJOY and I understand if you laugh out loud. Perhaps the heat of the moment brings out the worst in people, or, maybe assuming that the competitor is your friend during a match and will automatically make that "gimme putt" is where the problem lies. As Pettersen aptly stated, "I am so sorry for not thinking about the bigger picture in the heat of the battle and competition." Do you think there should be a new rule in the etiquette section allowing two-foot gimmes in competitive match-play golf? Follow Golf4Beginners on Twitter and leave comments below on our Golf for Beginners blog. I think in the example given in this post the player was completely in the wrong for assuming anything. If it's just your friends and you playing rules are a framework. If it's a formal competition the rules are there to ensure the game is played correctly and fairly. If Lee thought the put was conceded she should make sure.